That's right I said my husband rocks ! After being married almost 16yrs, I still think he rocks like he did back when we first met. I came across this adorable shirt from Union28 and was excited they sent me one for review. So now I can wear it and everyone knows how I feel ! When I received the shirt the quality was great and washed and dried with no problem. The fit is fantastic and it is very comfortable. I wore it twice this week and both times people asked where I got it from and that they would like one. 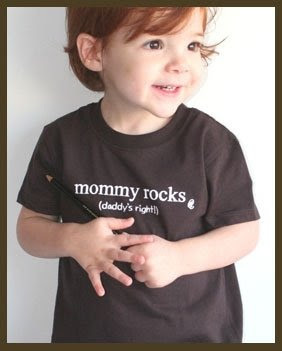 Union28 not only sells shirts for wives to celebrate their husbands but they also carry shirts for husbands that say My Wife Rocks and apparel for children to celebrate their parents that says Mommy Rocks and Daddy Rocks . All the shirts come in a variety of colors and style, I am sure you will find one that you must have ! Union28 (formerly From*me Tees) was started by a married couple who knows what it is like to work through hard stuff and yet stay together and stay committed, choosing to forgive and be forgiven, only to grow in our love for each other MORE through it all. It is our mission to encourage marriages and to honor the sacred covenant between a husband and his wife by communicating a positive image of marriage in a fun and stylish way. 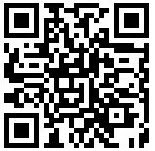 Union28 not only sells shirts to celebrate marriage on their site, they also have a section with marriage links and other great information ! BUY: To purchase visit Union28 here. SAVE: 15% off orders of two or more items with code 294Blue15 expires 9/17/09 ! Follow :You can follow Union28 on Twitter & FaceBook ! I Do ! 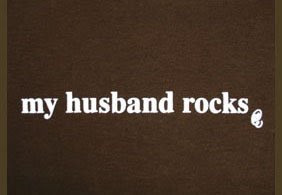 My husband and I have been married 45 years and I still think he "rocks"...love the T-shirts! 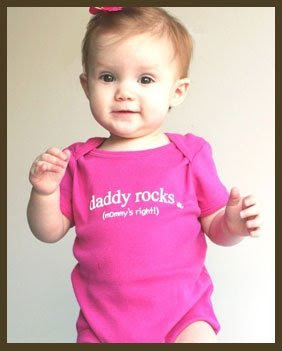 The 'daddy rocks' onsie is SO cute. I'm pretty sure my daughter needs it!! What an awesome idea. I love the My Husband or Wife 2B Rocks Jersey. The kids apparel is great too, so cute. Well worth checking out. I'm sending this to all my married friends, which means I am going to send this to all my friends. 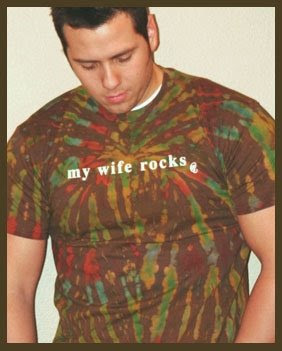 Me and my hubby already have these shirts, I LOVE THEM, they're great for gifts for weddings and stuff to..